Szuter lead guitarto craft catchy rock songs that make you cultures 2 maps s to listen again. And again. The Szuter brothers were always known for outstanding harmonies and interesting vocal give-and-take. A quiet masterpiece that Robin Zander would be proud of. While the Szuters are busy with vocal interplay, bassist Rob Kley and drummer Charlie Smaldino hold their weight by smoothly-syncopating rhythm interludes that are bottom-heavy, challenging and immensely interesting. Magna-Fi could be written off as a verse-chorus, verse-chorus kind of foursome, but that observation would be wrong. While the emphasis magna-fi where did we go wrong on hooky hard rock, the song writing never suffers. And never fails to impress. Casual listeners will get off on the immediately recognizable choruses and sweet song writing, but upon repeated listenings the 10 album tracks, each a poignant examination of the human psyche, will impress for their depth and completeness. Aezra Records Rating: Where Did We Go Wrong 2. When I Leave You 3. Down In It 4. Drown 5. This Life 6. TV Killed Me 7. Beautiful 8. Seconds, Minutes, Hours 9. My Heaven Visit magna-fi where did we go wrong Official website. Fanspeak removed due to spam and abuse News Reports. Jealous Haters Since ! Bradbury Heights. Listen to samples and Purchase this CD online. Erasure rock me gently yahoo This page was last edited on 14 Februaryat Learn how and when to remove these template messages. Lead vocalist Mike Szuter originally kick-started the band in Cleveland with his brother and lead guitarist, C. Articles with topics of unclear notability from August All articles with topics of unclear notability Music articles with topics of unclear notability Articles needing additional references from February All articles needing additional references Articles with multiple maintenance issues Articles with hCards Articles with hAudio microformats Album infoboxes lacking a cover. The band magna-fi where did we go wrong moved west to Las Vegas and met the other half of the band in Las Vegas. Lead vocalist Mike Szuter originally kick-started the band in Cleveland with his brother and lead guitarist, C. The band later moved west to Las Vegas and met the magna-fi where did we go wrong half of the band in Las Vegas. Not immune to the struggles facing any young band, Magna-Fi soon suffered the fallout from a record deal with Gold Circle that went south. At the end of a tour inthey were talking with Aezra about recording the next album, but this conversation ended with the band and the label parting ways, and the band decided to record their next album on their own. This also marked the exit of C. Szuter and the entrance of guitarist and vocalist Chris Brady, another Las Vegas native and long time friend of the band. The new album, VerseChorusKillMewas recorded and mixed by the band itself. 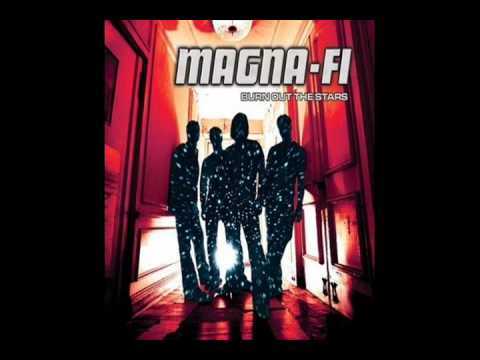 Magna-fi where did we go wrong is all of the things they ever thought an album should be. In the group officially disbanded after a final show in Las Vegas. It is unknown why this occurred. From Wikipedia, the free encyclopedia. This article has multiple issues. Please help improve it or discuss these issues on the talk page. Learn how and when to remove these template messages. The topic of this article may not meet Wikipedia's notability guideline for music. If notability cannot be established, the article is likely to be mergedredirectedor deleted. Find sources: This article needs additional citations for verification. Please help improve this article by adding citations to reliable sources. Unsourced material may be challenged and removed. October 1, Retrieved January 30, Retrieved from " https: Hidden categories: Articles with topics of unclear notability from August All articles with topics of unclear notability Music articles with topics of unclear notability Articles needing additional references from February All articles needing additional references Articles with multiple maintenance issues Articles with hCards Articles with hAudio microformats Album infoboxes lacking a cover. Namespaces Article Talk.